For more on the Long Beach Music Scene, click here. He’s been touted as a master of funk and purveyor of cool—and rightfully so. In other words, he is the perfect way to kick off the 10th Anniversary of Long Beach’s legendary Summer and Music (SAM) concert series when he takes over their FKA 720 event on June 23 in DTLB. In fact, DāM-FunK’s influence is heard constantly on the radio and in the stream-o-sphere: from Daft Punk and Kendrick to Toro y Moi and Tyler, The Creator, his sound has brought forth a resurgence of funk. Originally at the Carbon in Culver City, it moved to the Virgil in Hollywood in 2012 and forever etched the funk scene as a legitimate one. 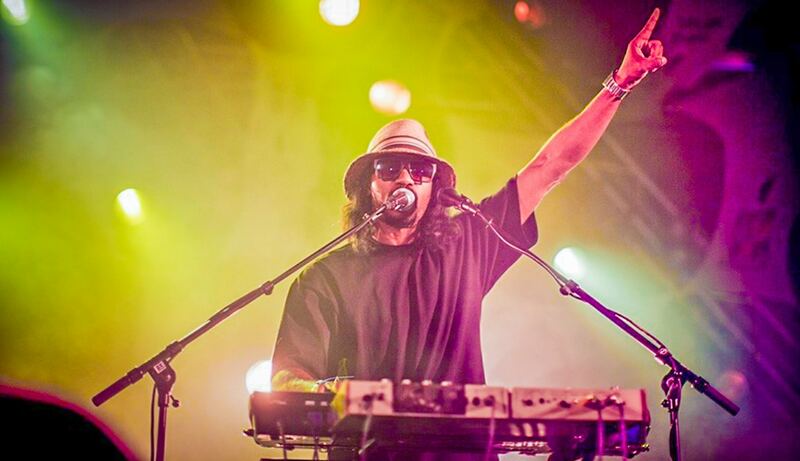 And while legendary performances surrounding everything from the catalogue of Moodymann to the electro-grooves of Egyptian Lover, it was DāM-FunK’s tributes to Prince that garnered him an deific status amongst funk lovers. And yes, he will be doing a tribute to Prince—break out them dance moves to honor the Purple One’s 60th birthday—while also highlighting his newest album (and, hopefully, taking some spins with his recent collab with Christine & The Queen, whom he’ll be performing on Jimmy Fallon with on June 12). On top of all the funk goodness, Long Beach artist David Van Patten has painted a mural that will be the floor of a fully custom skate park—three times bigger than years of past—where professionals and hopefuls alike will freely skate. Then some more DJs. Then some more good vibes. And repeat: a Prince dance party. All free. All family-friendly. All awesomeness.